Want a replacement screw for your Mountain Mods case or any 6-32 screw. 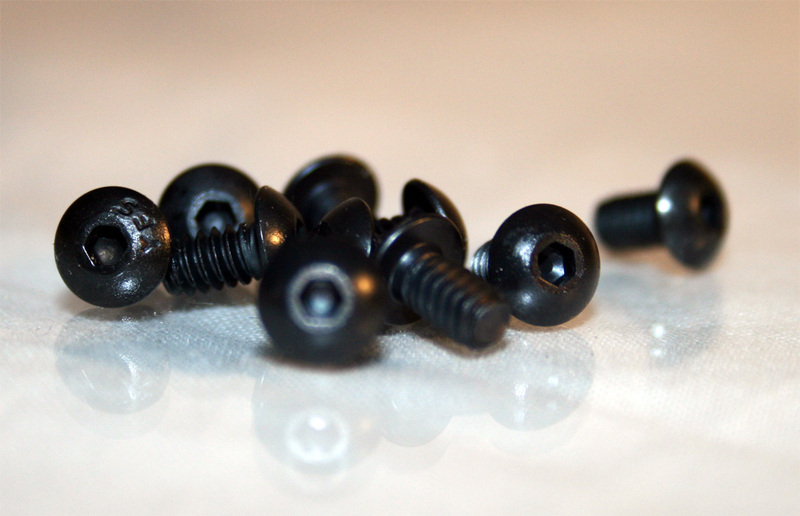 These black oxide button head screws are a great option. They are relatively flat - giving the case a different more uniform look.